RECRUITER : Because “needle in a haystack finder” is not an official title. 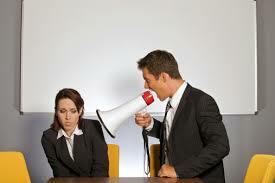 In your opinion, what percentage of workers are bullied in the workplace? The correct answer is 37%. More than one person in three will be the victim of a bully in the workplace. I thought I was the exception. Unfortunately, in my research I have found very few books on the subject. I found some articles in English, and a document on anti-bullying policies in Australia. I already had a discussion with labor standards on the subject. They explained that in Quebec, the psychological harassment law is brand new, it has only ten years. It is difficult to find law cases since most of the time, the problems are settled before going to court. Sign-up right here for our Newsletter!